Some years back I had the opportunity to travel to Kathmandu, Nepal to explore some of the mission work going on that country through an ecumenical partnership our church supported. Kathmandu is a wild, exotic city and every turn offered to me something new to see and experience. One place I wanted to visit was Pashupatinath; a Hindu Temple where cremations occur all day, every day. I’ve always had a morbid curiosity about such things. I wish I could say it is because I have a high-minded, philosophical bent of pondering my own mortality. More to the truth, however, is I am just curious about many things, death being one of them. Late one afternoon I made my way to the ancient temple grounds. The air was choked with the dust of human cremains, filling my hair, my eyes, and my ears with ashy remains. There were distant, piercing wails coming from grieving family members, mourning their dead loved ones. 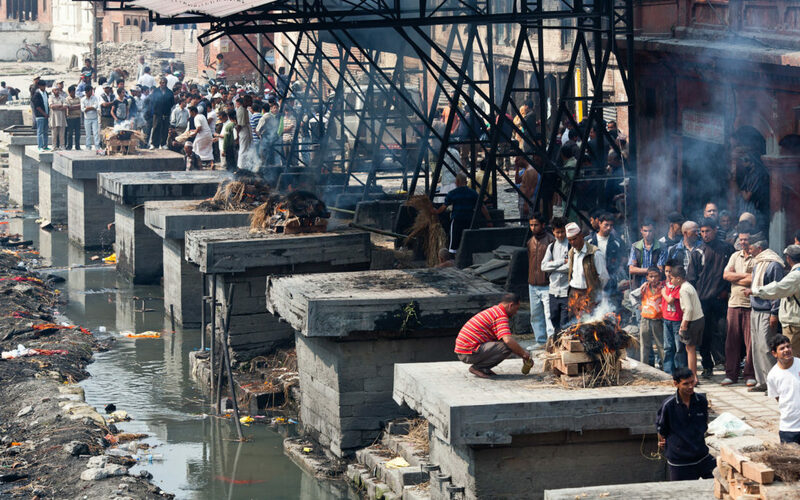 Soon I saw the pyres of wood lined up, many engulfed in flames, alongside the Bagmati River. As I squinted through the hazy dust I could clearly see limbs of corpses stacked upon the smoldering piles of wood. Periodically brooms routinely swept the charred cremains and coals of wood into the river, where family members bathed in oblation and prayer. Ah death. For young and old; Hindu, Christian, Muslim or Jew; death comes to us all. Ash Wednesday is also a call for Christians to repent; to change directions. It is not just a time to reflect on ones’ mortality, but to choose a different way to live. While remembering death, it is a day to also choose life as followers of the One who taught us to love abundantly. As I enter into this Lenten season of 40 days I have been mulling over what it is I wish to give up; what will be my fast, as the tradition holds. Today I am choosing to fast from my language of death and change direction towards what is life-affirming. This means I will need to reject the language of anxiety and brutality that marks our political discourse and selfish ambitions. I will need to choose my words carefully, hold my offenses lightly, and walk circumspectly with deference to others. Only in letting go, Jesus reminds us, can we ever hope to gain. In this journey where we are marked for death, I’m going to reflect not just on my own mortality, but this very life God has trusted me with to live fully, compassionately, mercifully, and generously with love for all. I am dust, and to dust I shall return. Therefore today and all my remaining days I must love, because in the end that is all that will remain. Everything else will be swept aside.